[Episcopal News Service] For 20 years, Jon Felz helped send people to prison as a New York police officer. Today, he’s volunteering his time to help those behind bars as a member of the Episcopal Diocese of Newark’s Prison Ministry. But Felz’s faith journey has lent him new perspective and purpose. 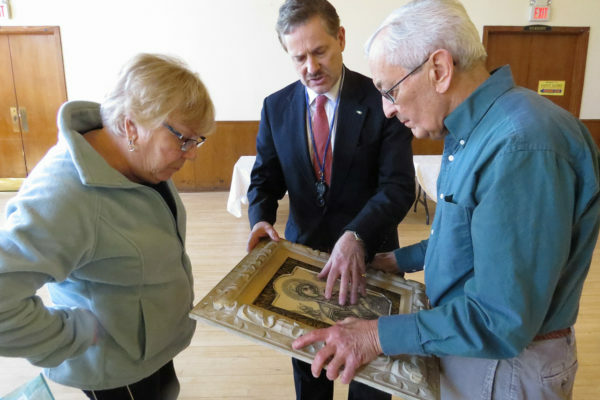 Now an antiques dealer and certified appraiser, Felz led an “Antiques Roadshow”-style event on April 21 at the Episcopal Church of St. James in Upper Montclair, New Jersey, to raise money for the diocese’s programs for inmates and their families. Looking ahead, he hopes to join ministry members in leading Bible studies for inmates. “When God opens your heart, you really take this stuff to heart,” he said. 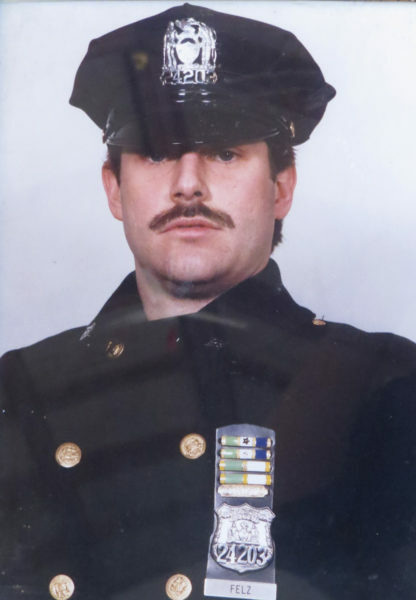 Jon Felz in his New York Police Department days. 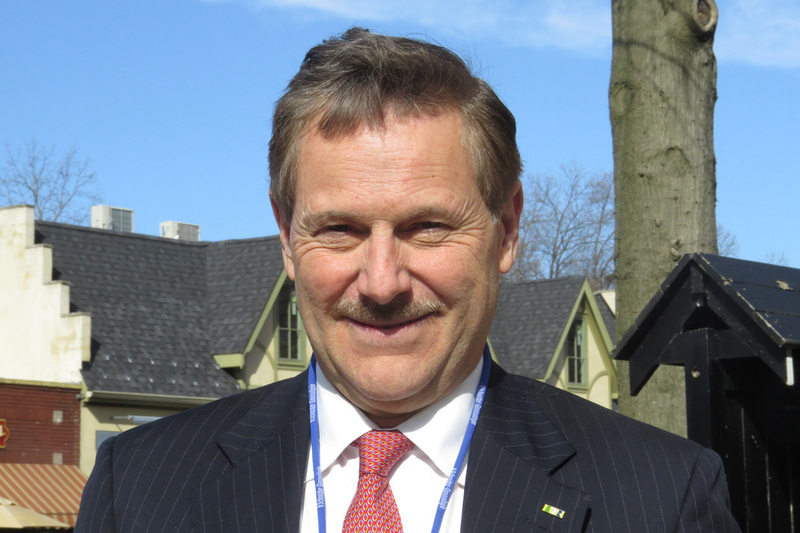 Felz, 60, began his New York police career during the “drug wars” of the 1980s. At age 22, he was assigned to Washington Heights, which set a precinct record with 137 homicides in 1984. During his career, he survived three gun battles and engaged in New York-to-New Jersey car chases to arrest suspected drug dealers. A lifelong member of St. Paul’s Episcopal Church in Montvale, New Jersey, Felz began bringing donated pastries each Sunday to the men’s shelter located at St. Paul’s Episcopal Church in Paterson. Then he began bringing men’s clothing and toiletries from estate sales he ran and donations from members of his church. He started to get to know the shelter’s men, some of them just out of prison. He wants to join diocese members who lead Bible studies in the state prison in Newark and in jails in Hudson and Essex counties. First, however, he will need to complete the institutions’ required paperwork and background checks. For more than three decades, the diocese also has supported children and their incarcerated parents through the PATCH (Parents and Their Children) program. PATCH transports children for monthly visits with their parents at the Essex County Correctional Facility in Newark and provides camp scholarships, school supplies and annual Christmas parties for the children. PATCH previously included a mentoring component for children, which the diocesan prison ministry would like to restart. Other programs include a pen-pal program and a holiday choir that leads a carol service at a county jail. The ministry makes PATCH a priority because “our children are an at-risk population for prison, mental health issues, dropping out of school,” said the Rev. Pamela Bakal, prison ministry president and rector of Grace Episcopal Church, Nutley. The program costs more than $22,000 annually because of transportation, insurance and other costs – a funding need that prompted Felz to donate his antique-appraisal skills for the April 21 event. His police days showed him the impoverished circumstances that led some into lives of crime. — Sharon Sheridan is a postulant in the Diocese of Newark and a member of the Diocese of Newark Prison Ministry. Prison ministry is a most rewarding ministry where you can make a difference both on the inside and outside. Kairos is one of the best for changing lives of the incarcerated. I urge all to consider it. Goggle Kairos to find a group near you and go to a closure at the end of a Cursillo type weekend. It can change your life. Prison ministry is a most rewarding ministry where you can make a difference both on the inside and outside. Kairos is one of the best for changing lives of the incarcerated. I urge all to consider it. Goggle Kairos to find a group near you and go to a closure at the end of a Cursillo type weekend. It can change your and an inmate’s life. I was glad to read about this. I hope Mr. Felz and his fellow parishioners are also actively trying to change both the laws and the conditions that led to the imprisonments! I participated in KAIROS prison ministry for 25 years after retiring from US Coast Guard. Amazing things happen when you share God’s love and treat prisoners with non-judgmental respect.